Located in the state of Louisiana, New Orleans is a vibrant city that famously inspires indulgence. New Orleans is also home to one of the biggest ports of the United States. Renowned all over the world for its unique culture and distinct architectural style that encompasses Spanish and French elements, New Orleans is a place to find several restaurants, bars, night clubs, take part in the Mardi Gras parade and immerse yourself in the atmosphere. Known to have the highest number of historic districts, New Orleans is home to the Superdome, the world’s largest enclosed area, and Lake Pontchartrain Causeway, the longest continuous bridge in the world. Regardless of your reason visiting this beautiful city, your trip to New Orleans is never the same trip twice, but always remarkable. Search for cheap flights to New Orleans and visit this unique city. The major gateway into the city is Louis Armstrong New Orleans International Airport. Located about 10 miles northwest of New Orleans, the airport hosts over 8 million passengers annually. Formerly known as Moisant Field, New Orleans International Airport offers flights to several domestic and international destinations including Dominican Republic, Cancun, Canada, Toronto, Mexico and Punta Cana. The airports is working aggressively to ensure it serves more international destinations. Lying at an average 4.5 feet above sea level, the airport is the world’s second lowest lying international airport, after Schiphol International Airport in Amsterdam, which is eleven feet below sea level. New Orleans International Airport is ranked 4th on the busiest airports in the United Stated. Renamed after Louis Armstrong in 2001, a world renowned jazz musician from New Orleans, the airport over 10 airlines offering non-stop flights to over 36 major cities and Canada. The airlines include Alaska Airlines, Air Canada, Air Tran, American, Frontier, Jet Blue, Delta, US Airways, United, Spirit Airlines and Southwest. Flying time is 1 hour and 40 minutes from Dallas, 2 hours and 30 minutes from Chicago, 3 hours from New York, and 4 hours and 20 minutes from Los Angeles. Make your reservations ahead of time for popular times such as Jazz Fest and Mardi Gras. To get to your hotel or final destination in the city, there are several means of transportation to use including taxi, airport shuttle, Limousine, car rentals. The airport also boasts of a massive parking space and several lovely facilities such as shops, bureau de change, restaurants and many more. Travelers can go to New Orleans at any time of the year. Among the seasons of the year, the best time to visit the city is early spring. At this time, the days are lovely and the nights are cool. The city is also bustling with several outdoor activities that every traveler can partake in. when planning your visit to New Orleans, it is very important to know the activities going on and also availability and rates of the hotels. Travelers will most definitely enjoy their stay whenever they are in New Orleans at this time. Book you cheap flights to New Orleans and experience great time. Look for cheap domestic flights. cheap flights to New Orleans and visit this unique city. Mobissimo has multiple ways to help travelers find cheap flights to New Orleans. You can subscribe to our weekly cheap flights and deals newsletter which includes great deals on cheap flights. We provide an Airfare Index that you can subscribe to on our front page which will alert you to the cheapest flights to New Orleans via RSS. When your search on Mobissimo is finished we provide a recommendation box with dates when the flight to New Orleans is the cheapest. There's our Facebook page where you can connect to people who are looking for great deals to New Orleans and where we also post cheap flight deals regularly. Our blog provides highlights of sales on flights on major carriers. We also have a flights deals page that is updated daily. If you're looking for cheap domestic and international flights to New Orleans, USA , it helps to be flexible with your travel dates. Being able to leave on a Thursday or come back on Monday, and taking early morning flights, will help you find cheaper flights than the busy and popular early evening flights and late afternoon flights for New Orleans. 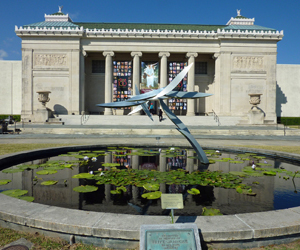 Searching during the travel off season for New Orleans will also help you find the best fares. Keep in mind to search for the cheapest flights to nearby cities airports. Mobissimo is the ultimate travel search engine for all USA destinations.